B. Thomas (Arlington, Texas, United States) on 14 March 2017 in Lifestyle & Culture and Portfolio. a rider is about to eat dirt in the Ft. Worth Rodeo saddle bronc riding competition. What a wonderful action shot! Congrats! Oups ! Good capture and timing ! Great capture of a 'silly' moment! Great capture of the launch! Dramatic timing and photographic reSulT ! Awesome catch, Barbara!! Est Dirt indeed!! Great caption to an excellent action shot you've captured!! The timing was perfect as is the detail!! Gorgeous freeze frame, so much to ponder and look at ! 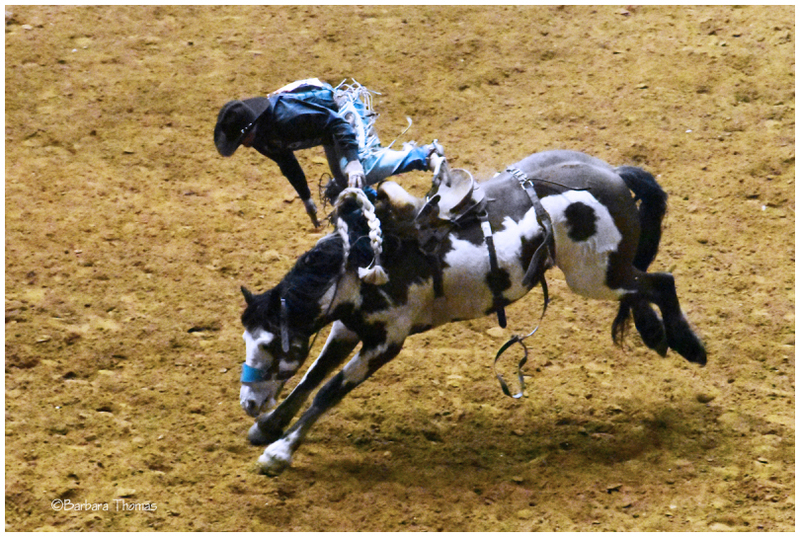 A great capture of this flying cowboy ! A superb capture !! Congratulations on your Spotlight ! Back to congratulate you on your Spotlight!! Congratulations on the spotlight, superb award ! Superb capture !! Hope he did not fall off!! Don't know how I missed this great shot !!!!!!!!!!!!!!!!! Amazing that these cowboys voluntarily do this.